Students in Asian Pop Culture Club practice their dance during a meeting. Editor’s Note: This is the second in a series of International Week stories about ethnic clubs to highlight the diversity of Niles West. Niles West’s International Week is dedicated to allowing the diverse students of Niles West express their cultures in whatever form they may choose. The members of Asian Pop Culture Club are no strangers to the preparation that goes into this jam-packed week, and they are ready to show off their dances and food to the student body. 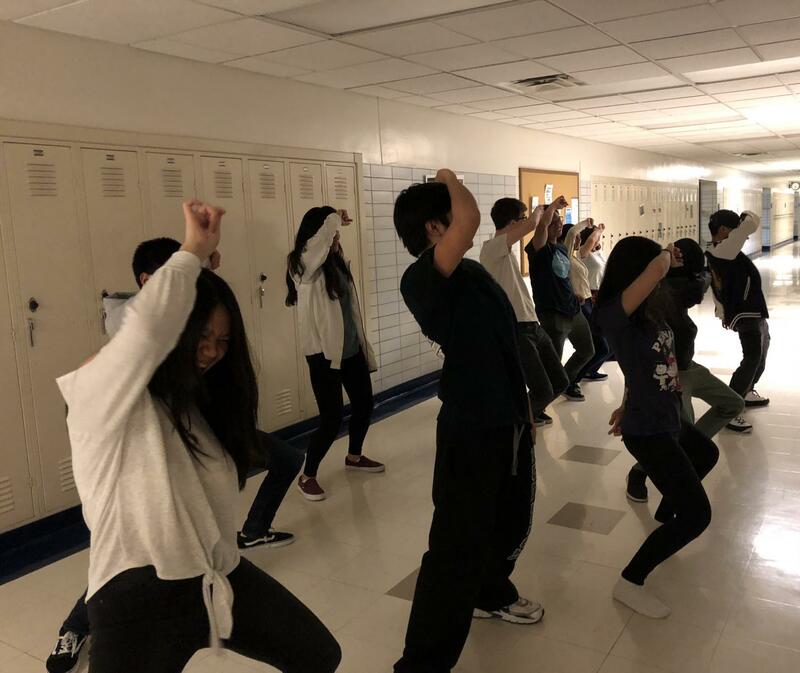 From K-pop dances to bubble tea, Asian Pop Culture Club went the extra mile to ensure a successful week filled with fun. Senior Megan Lu gave insight on the what APC club is, and how they integrate different Asian cultures into one club. APC club embodies what the media scene is like today in Asia, and they are showing off their culture during the international feast, and international night. APC club sponsor Sanlinda Cheng gave a peek into what they have planned. “This is our first time doing the feast… we’ve decided that all the other clubs do heavier food, so we are going to do snacks and drinks. It’s going to be a lot of Asian snacks, a lot of different drinks, boba tea, and we are also going to be performing a couple different dances at international night,” Cheng explained. Asian Pop Culture Club manages to give a space for any person to express their love for the pop culture scene in Asia, no matter who they may be. It allows people with the same interest to congregate together and celebrate their passions. “My friend told me to do it, and I thought it’d be fun,” Sophomore Arwin Bunag said in regards to his reasoning for doing APC. With APC club being so inclusive, they have their doors open to anybody who may want to join. Lu explains how to join APC club, for anyone who may be interested. “We meet every Thursday in room 3195, and the meetings go from 3:30 to 5:00, and all people are welcome, they just have to come in and say hi to us, and they are welcome to join,” Lu said. Make your way into any meeting and join Asian Pop Culture Club.